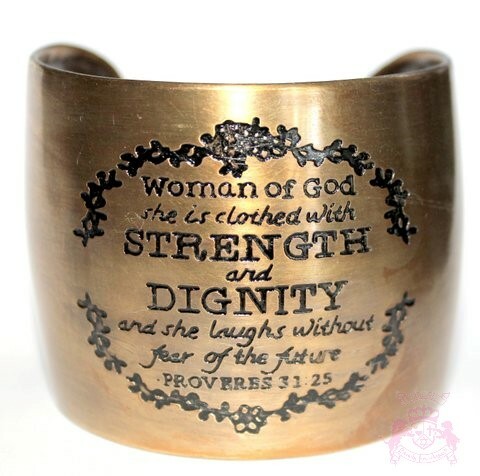 Beautiful Antique Goldtone etched in the Proverbs 31 scripture 31:25. Woman of God! 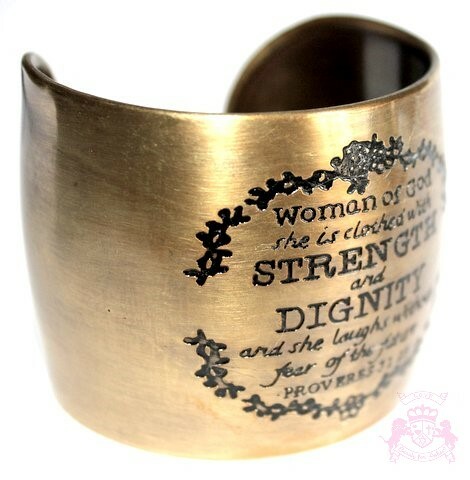 Cuff fits all sizes.